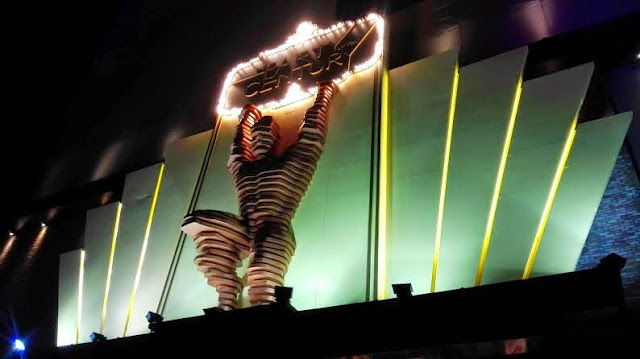 When it comes to Malaysian food, most food are spicy. Malaysians love to eat sambal - the familiar add-on hot sauce to spice up any local dish. 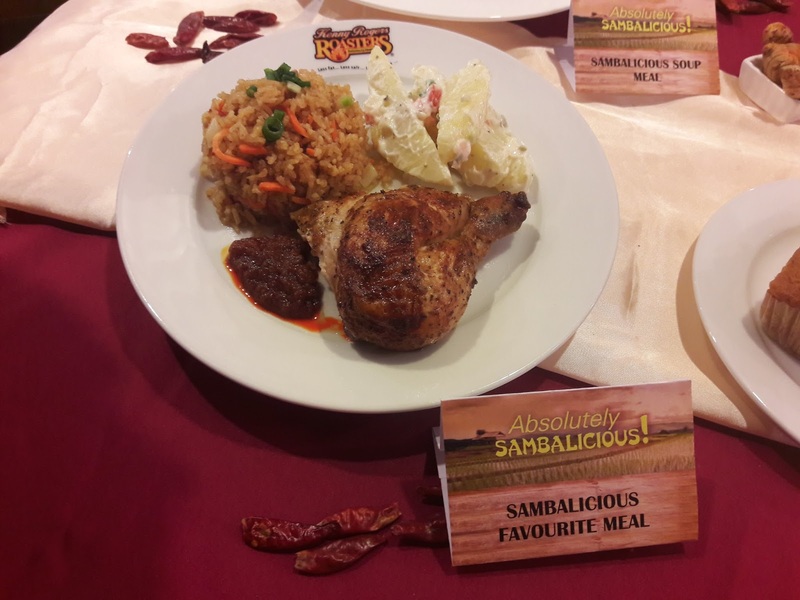 Thus, Kenny Rogers Roasters now brings a burst of Absolutely Sambalicious flavour to the table in their latest promotion! 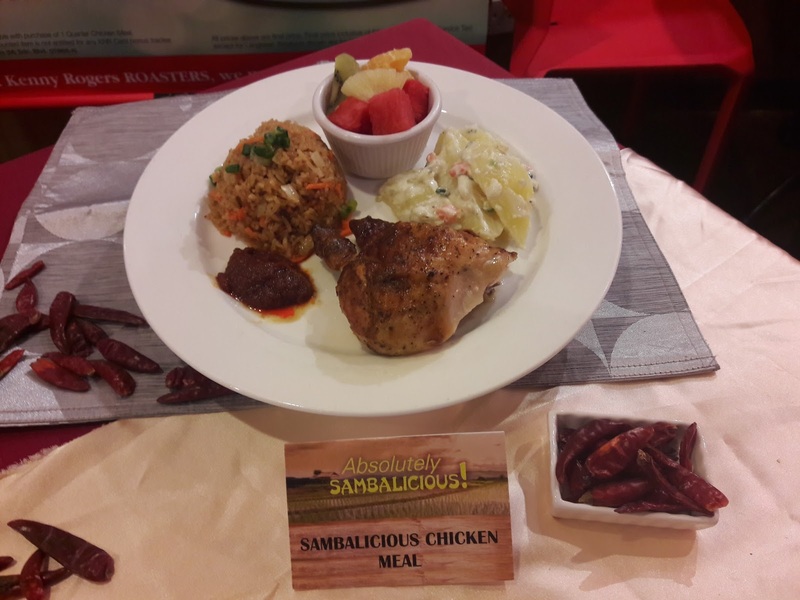 Guest can tickle their palate and choose from a variety of Sambalicious meal options from the Sambalicious Soup Meal, Sambalicious Favourite Meal to the Sambalicious Chicken Meal from RM 19.90 onwards. 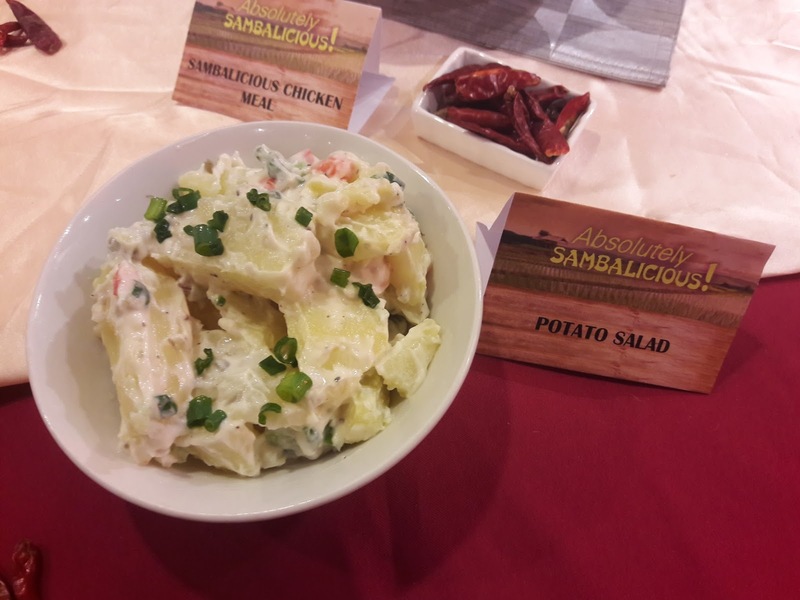 To further spice things up, complementing the meals are side dishes of Potato Salad using healthy and fresh ingredients as well as the healthier version of steamed rich and fragrant Spicy Golden Rice. Guest can also opt for an a la carte of the side dishes (Spicy Golden Rice and Potato Salad) at an introductory price of RM 5.90 each. (Normal Price: RM 8.50). "At KRR, we experiment with different tastes and combinations of cooking to bring more variety of wholesome meals to our guests. 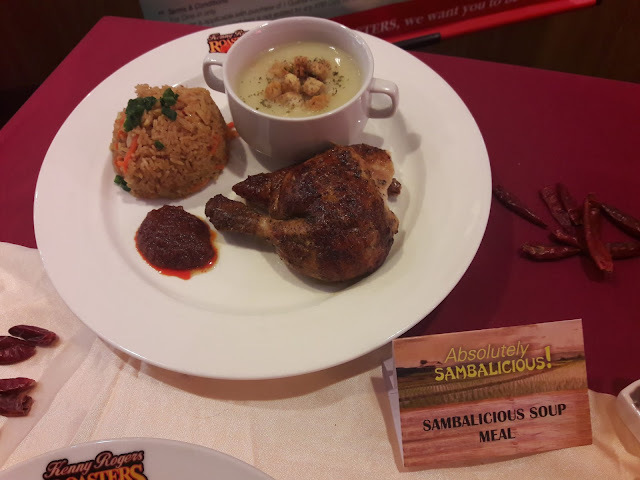 The new Absolutely Sambalicious meal is one to try as it relates close to our Malaysian taste buds and hearts!" 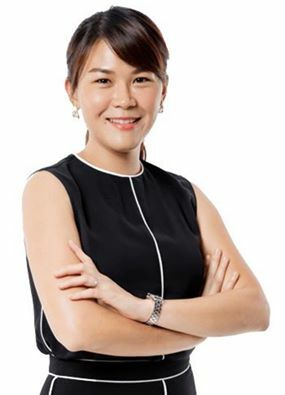 said Esther Woo, Deputy General Manager of Berjaya Roasters (M) Sdn. Bhd. 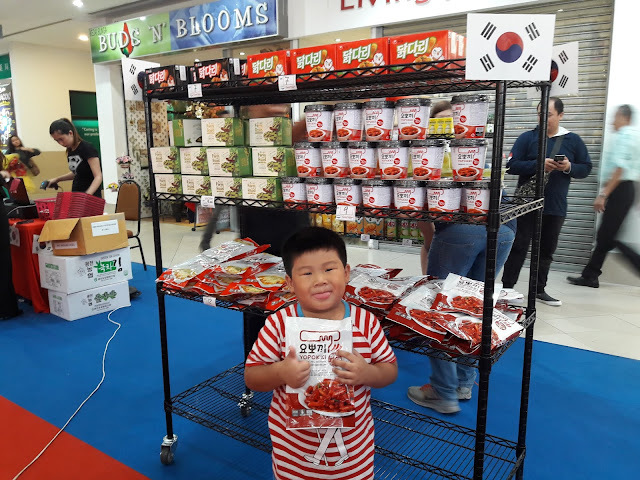 The sambal tasted spicy, sweet and hot but is a little salty. 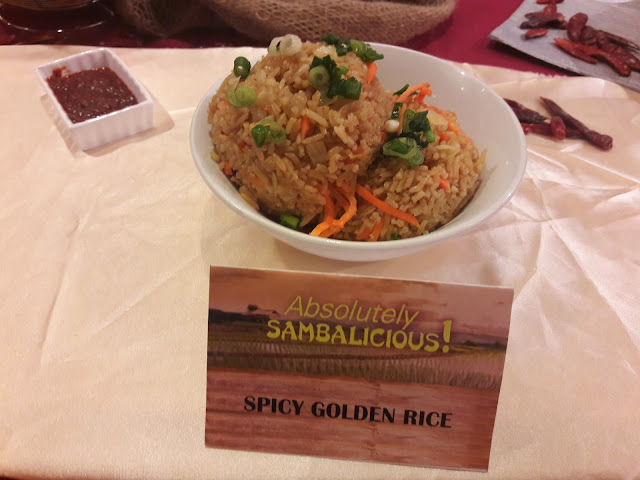 The rice tasted quite spicy and probably not that suitable for children. 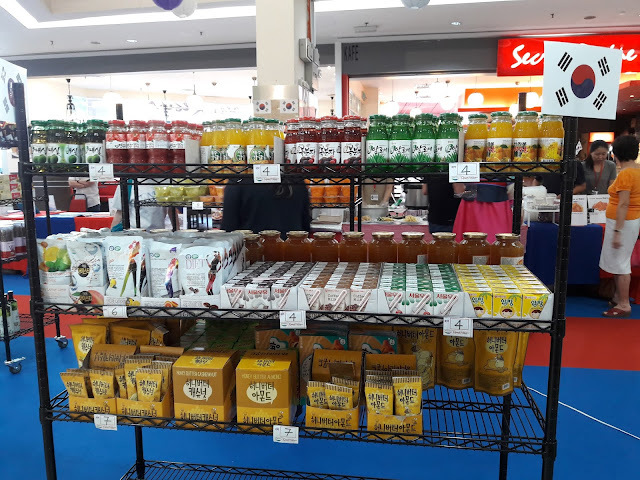 I personally prefer the Royal Raya Majestic Rice that KRR had in June and July this year. In addition to a Sambalicious time for all, guests can upsize their quarter chicken meal to half chicken meal for RM 5.00 only for a limited time offer. 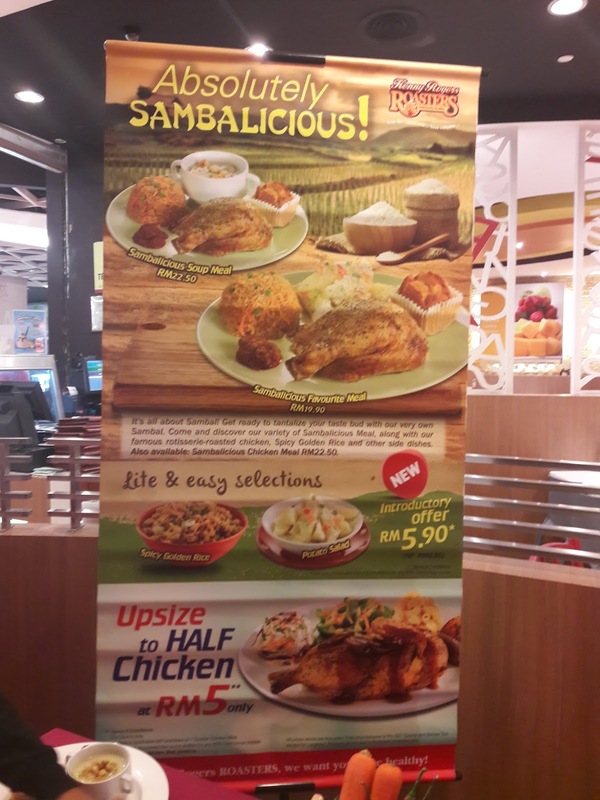 For more information on Kenny Rogers Roasters, kindly contact 03-2119 9888 or visit their website www.krr.com.my or Facebook www.facebook.com/krrmalaysia. Thanks to the PR, Ketchup and Wings Musicafe for inviting me to Wings Musicafe new menu food review and singers appreciation night at Wings SS2. 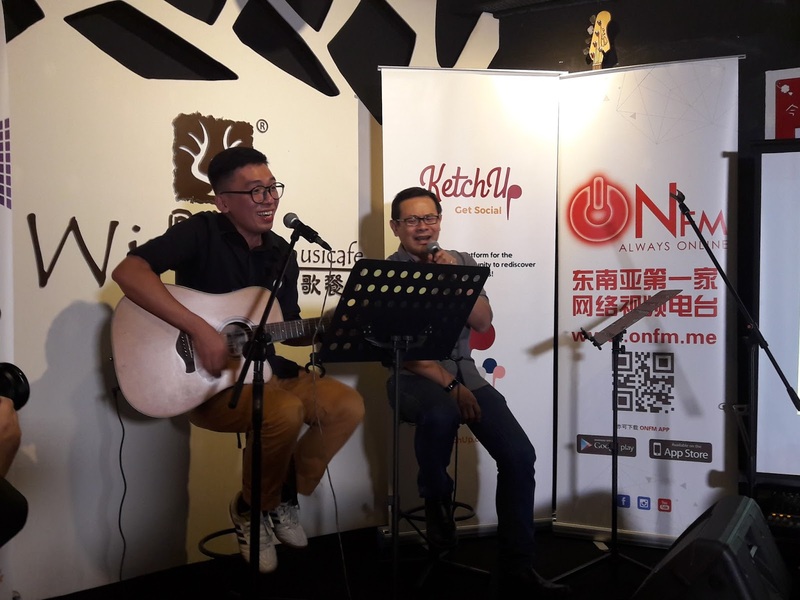 Wings Musicafe is not new to me as I have been to their first outlet behind Berjaya Times Square more than 10 years ago to attend a bookman gathering. The boss, Mr. Jeff Lim also sold books door to door like me when he studied in USA. It was the toughest summer job and if we were good at selling, we earned lots of money in 3 months enough to pay for our own tuition fees and living expenses. 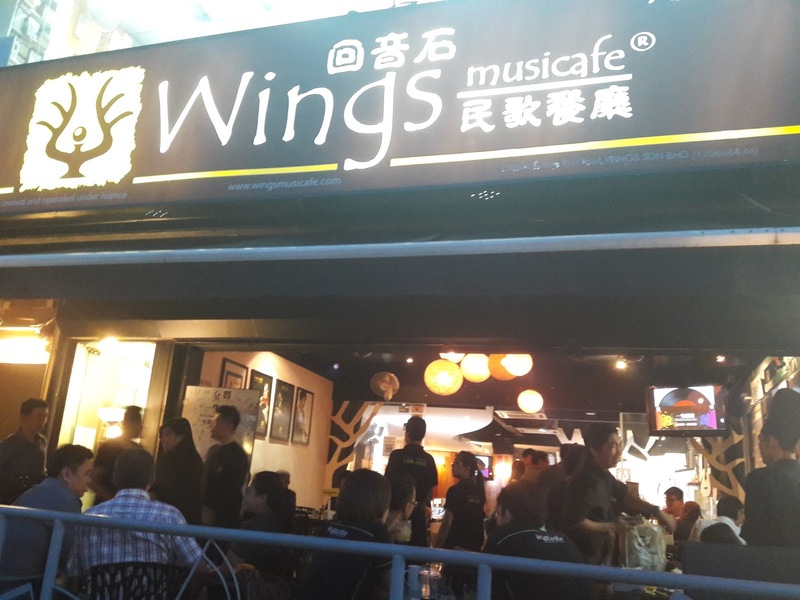 Now there are 8 Wings Musicafe outlets in Malaysia but the one behind Berjaya Times Square is closed. 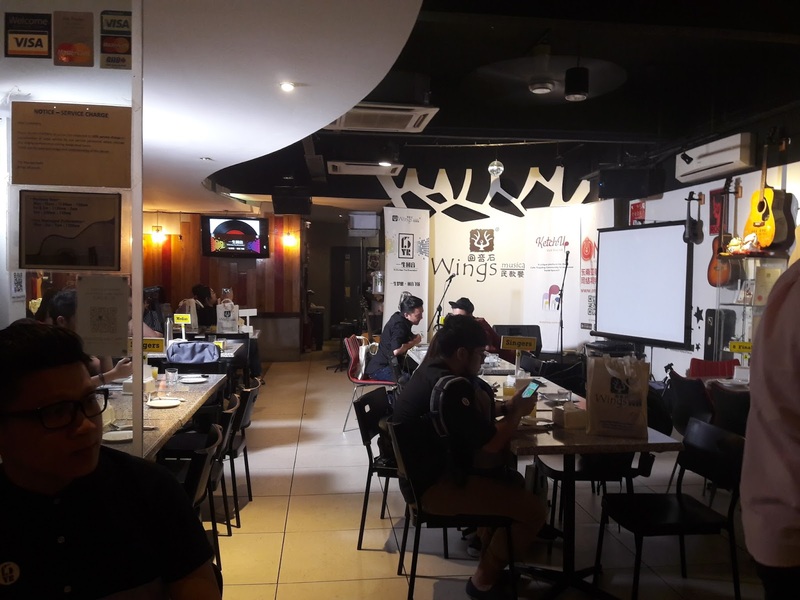 The restaurant was spacious and very comfortable with lots of musical decorations such as guitars and ukuleles hanging on the walls. 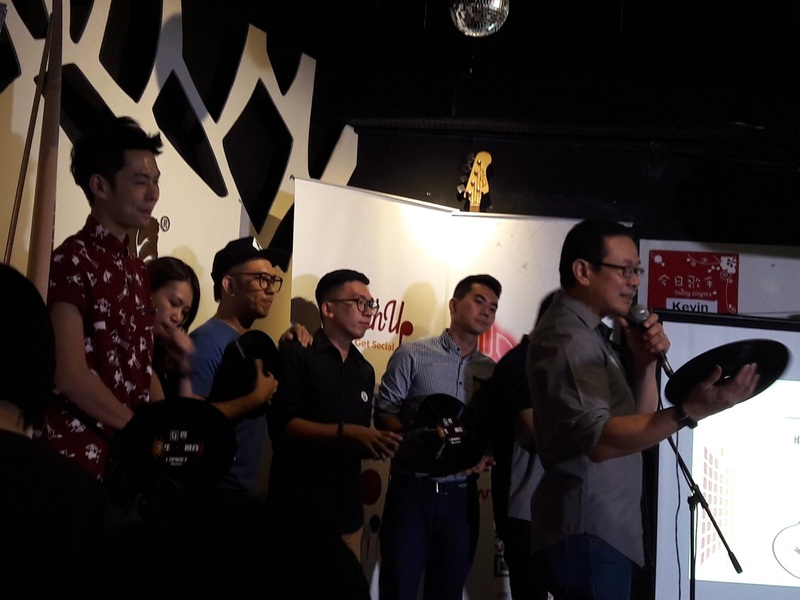 Jeff giving out awards to the singers of Wings Musicafe. Some of them have been with Jeff for 13 years. 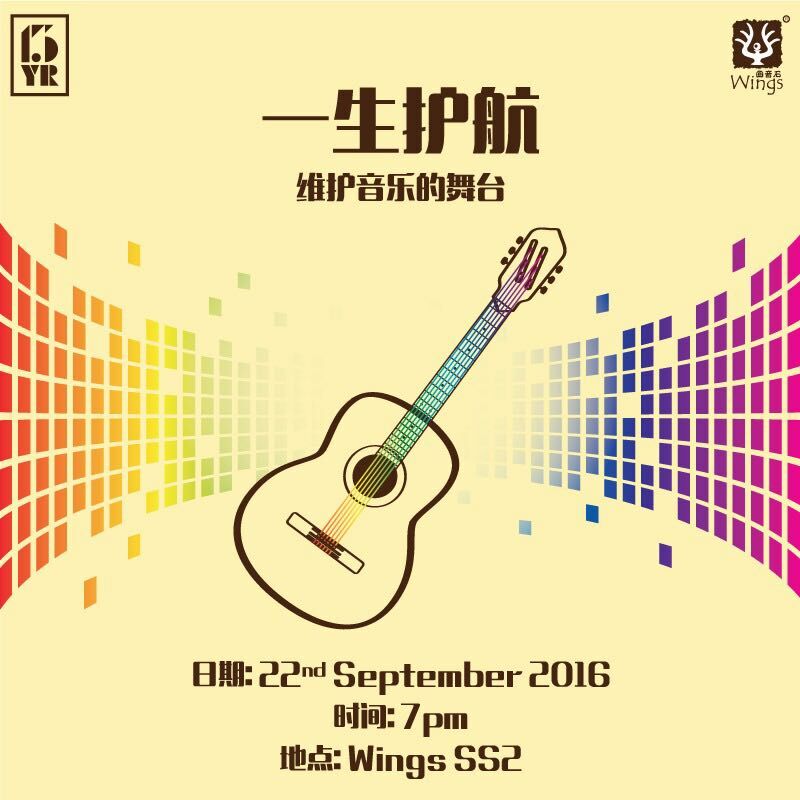 A great night to appreciate the singers for great music and songs. We were all entertained by the lovely songs while we enjoyed our delicious dinner. 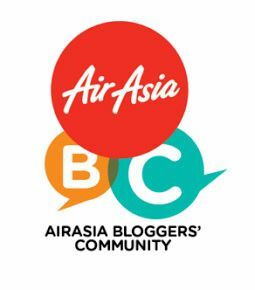 That night, bloggers and members of the media were invited to try out their new food menu. Wings Bacon Salad was served with an extraordinary yellow salad sauce. 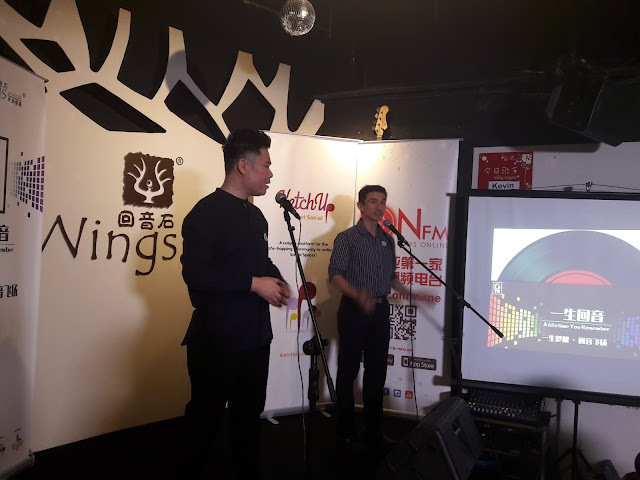 The Chef who gave Wings one of it's earliest signatures is a Malaysian Chinese who was trained in France for many years. He accumulated western dining knowledge and was also familiar with eastern culinary and taste. 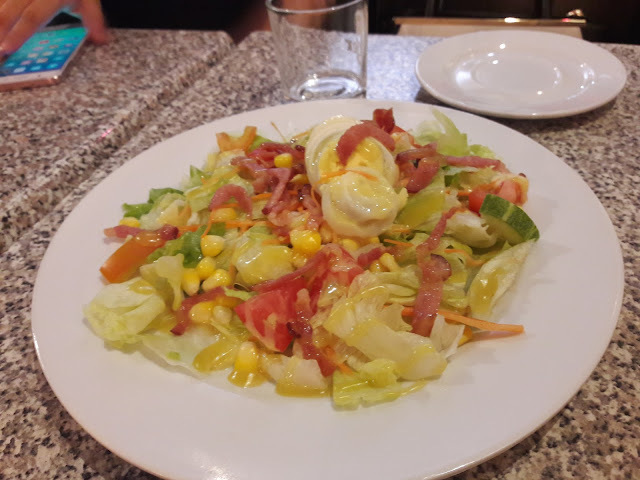 Their house salad sauce is very popular and is loved by many because of it's smooth texture and sweet aroma. 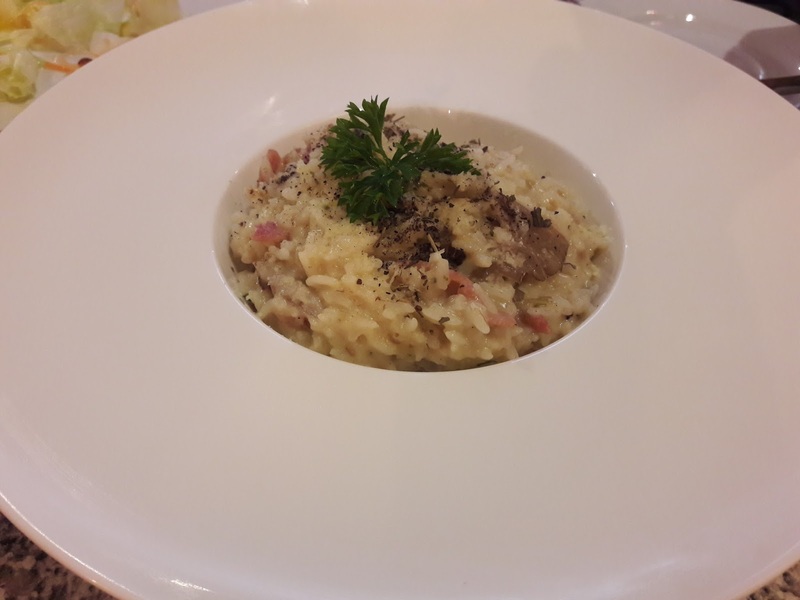 Bacon Risotto is a newly launched creation and a Chef's recommendation. Risotto came from northern Italy where rice is steam cooked with cheese and cream as a staple offering. At Wings, this dish features rice stirred over heat with a rich sauce until the aroma becomes fully permeating. The resulting fragrant rice is enveloped with rich bacon rolls, creamy white sauce and other spices that ensures this ordinary-looking dish has an extraordinary taste. 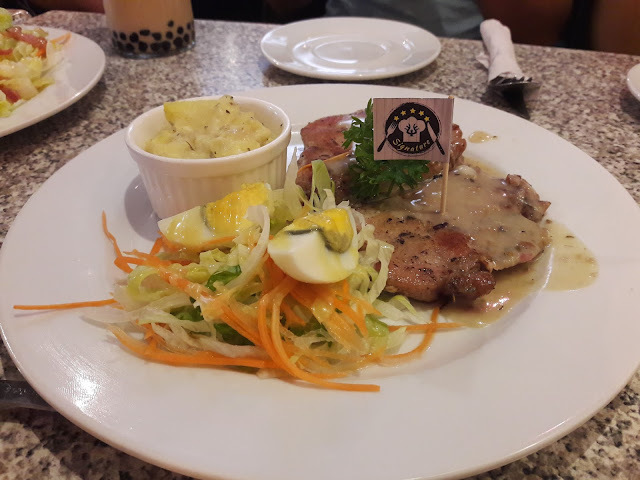 Chef Creamy Pork Chop was my son's favourite because he loved the tender pork chop. Back in 2014, young Chef Clement was 25 years old and the youngest chef at Wing's kitchen when he introduced this creative dish. 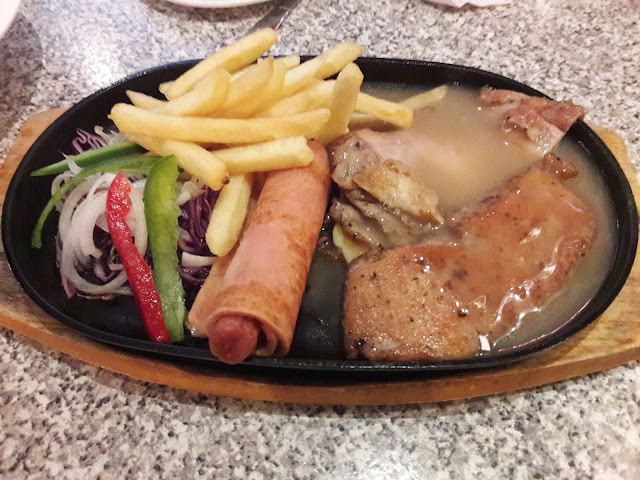 He researched and kept refining this pork chop marinated with several spices and coupled with aromatic garlic white sauce to get the Yuletide sensation. 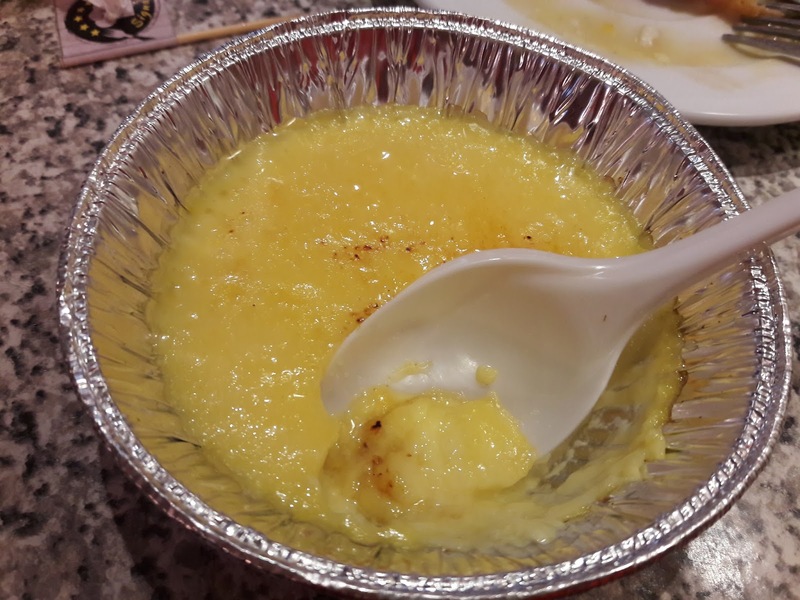 This dish generated many good reviews and is very favorable among the customers. Mix Grilled is great for those who want to try different kinds of steak but is afraid they can't finish the whole portion. This mixed delight comes in 3 combos - Chicken / Pork, Chicken / Fish, or Pork / Fish. Each Combo is complemented by their delectable cheese ham sausage, house salad and classic fries. 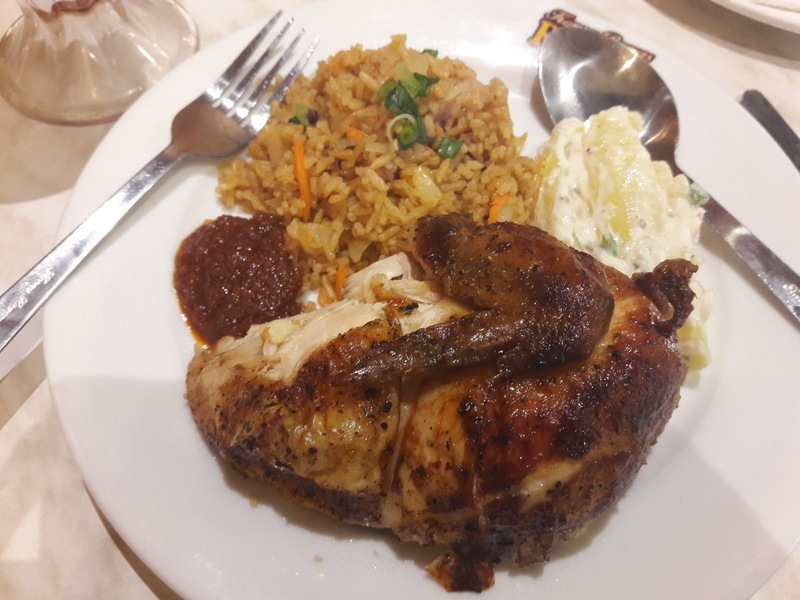 Served on a sizzling hot plate for maximum enjoyment, this Mixed Grilled tantalizes and fulfills your senses of sight, smell and taste at the same time to give you true gastronomic happiness. The cheese ham sausage and chicken tasted really delicious but the pork was a little hard to chew. 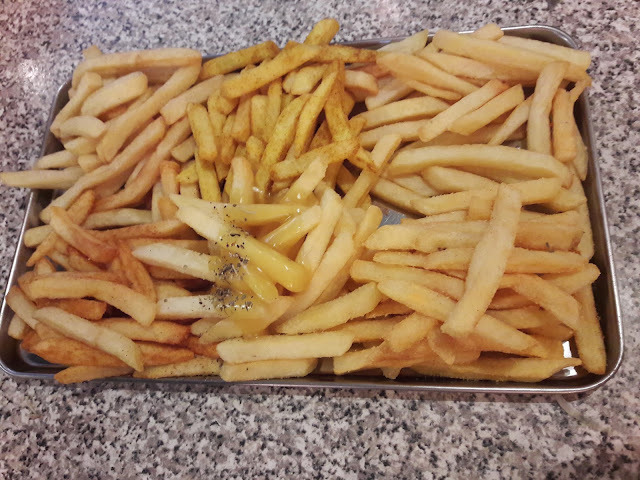 If you are hanging out with friends and tired of the same old fries, you can try Wing's Magic Fries which introduces 6 different flavors - classical, tangy curry, Mexican chilli, Taiwanese pepper salt, the Signature Wings Italian and the Cheesey Primero flavors. With such an explosion of flavors, this Magical Fries experience is sure to satisfy your palate! Cream Brulee was the dessert. 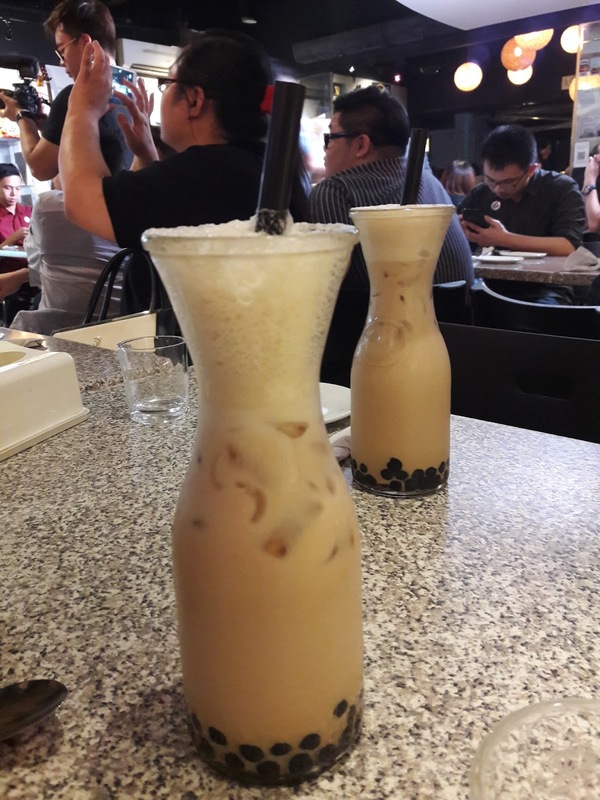 The texture was smooth and nice but it was too sweet for me. 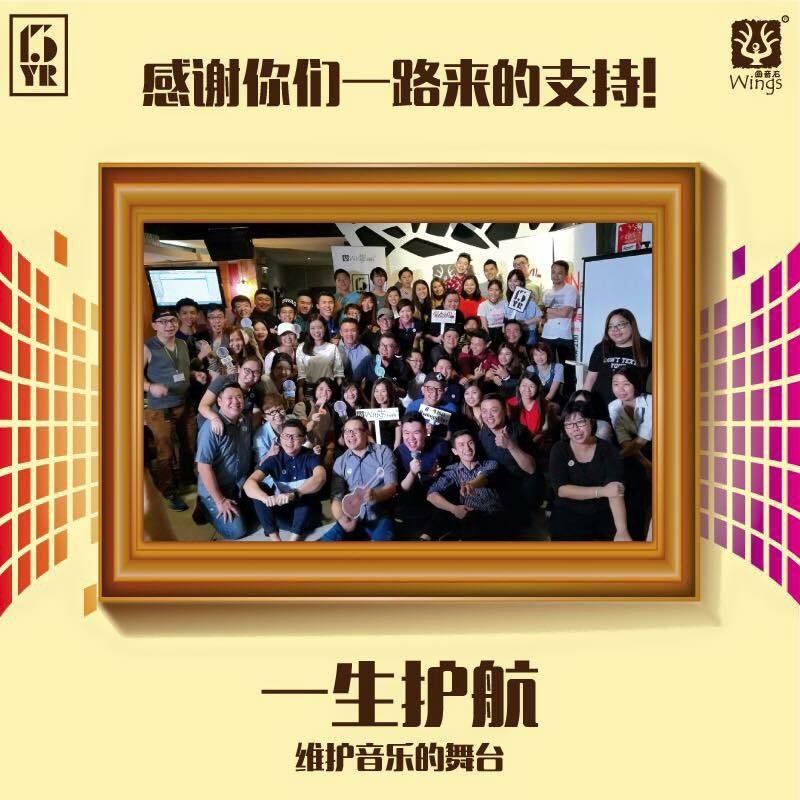 Group photo of those who attended the event. Photo credit to Wings Musicafe Facebook. For more information on Wings Musicafe, visit their Facebook https://www.facebook.com/WingsMusicafe/ or their website http://www.wingsmusicafe.com/. 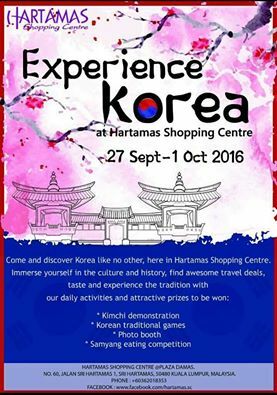 Hartamas Shopping Centre, the neighbourhood mall of Hartamas and Mount Kiara area is inviting everyone to experience Korea from 27th September to 1st October 2016. 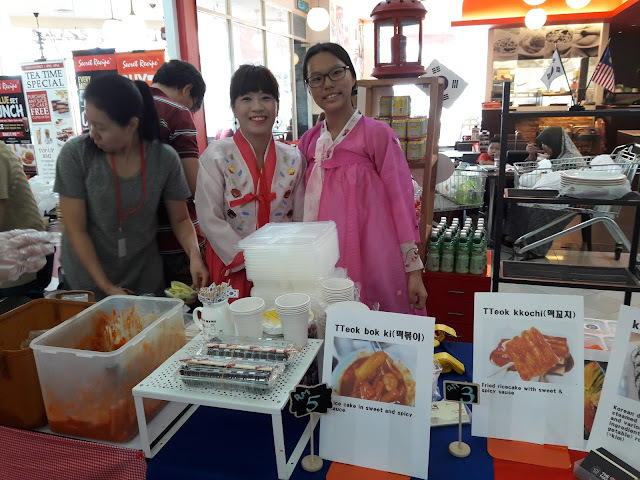 The fair is showcasing Korean's products such as Korean food, fashion, lifestyle, travel packages and more. 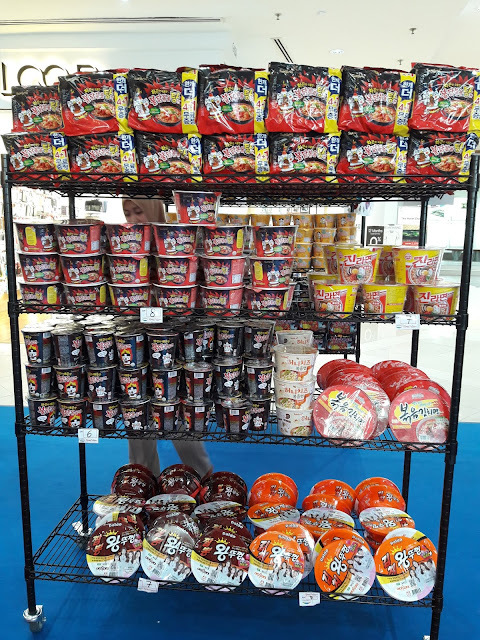 Lots of Korean food and snacks here. Come and get some. Interested to know more about Daemyung Resort packages, visit www.daemyungresort.com/en. 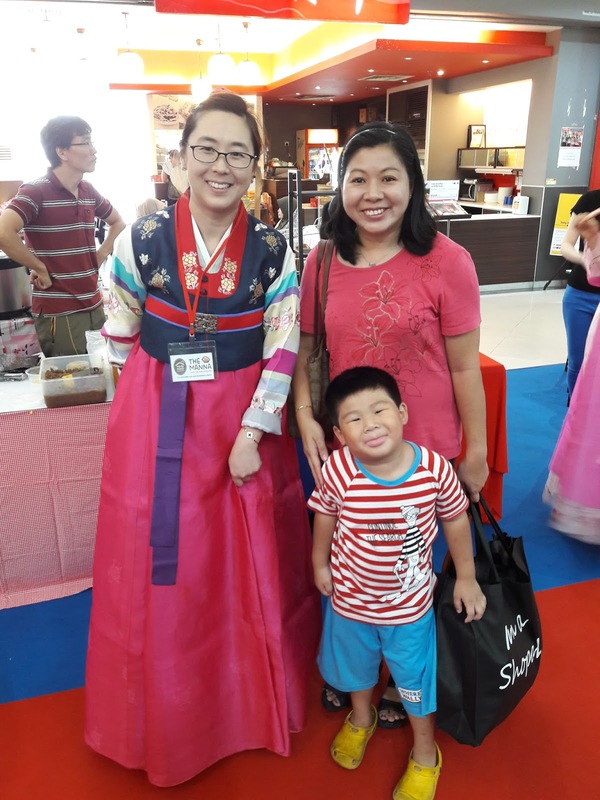 This Korean fair is meant to share the culture, connect and experience with the visitor and shoppers of Hartamas Shopping Centre. I have been to Korea with my mom many years ago and this Korean Fair reminded me of the delicious Korean snacks. I love to eat Korean seaweed. 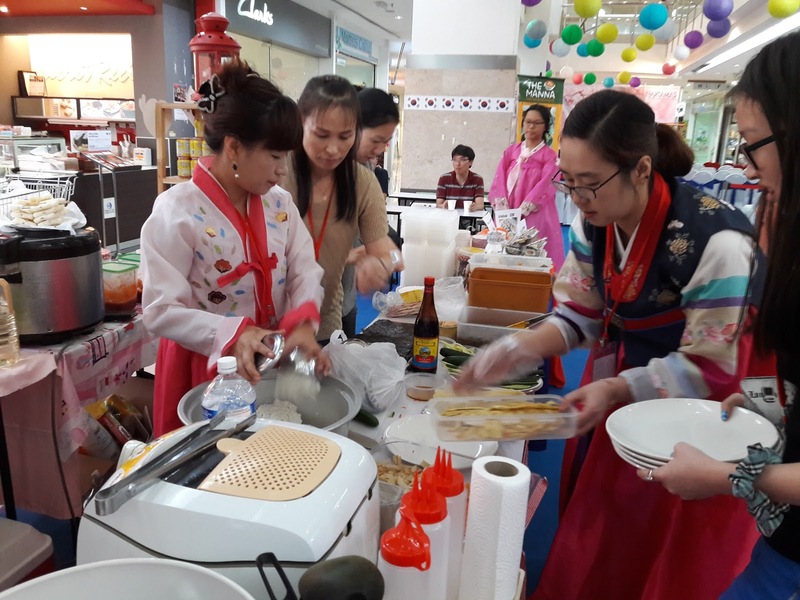 The daily activities chosen to be showcased during the 5 days fair are the traditional cultural dance at the opening,the Ddakji / Korean kite demonstration on the second day, Tuho (Korean traditional throwing sticks game) on the third day, Kimchi demonstration on fourth day and Samyang eating competition on the last day of the fair with great Korean products to be won. Visitors and shoppers are all welcomed to join the activities and enjoy the experiences that Hartamas Shopping Centre is offering at this fair. 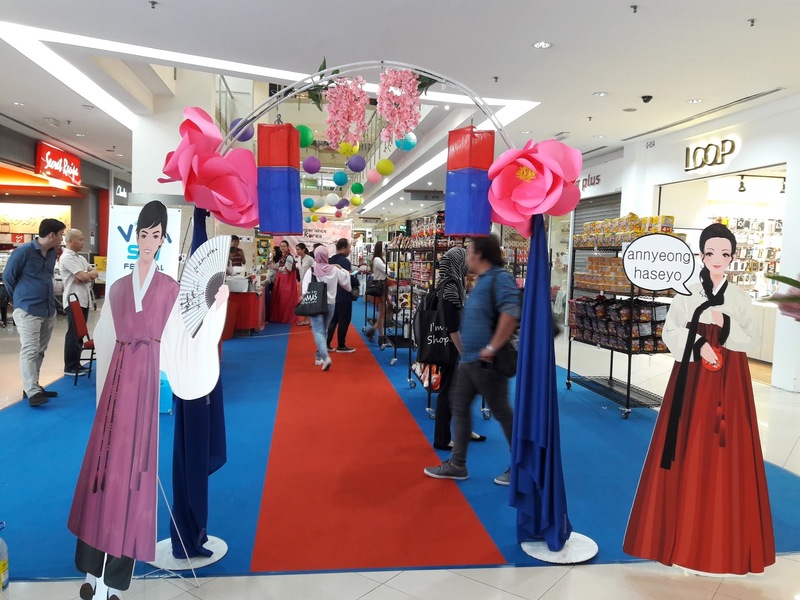 "We would like to appreciate and celebrate the cultures of other nationalities especially among the residences around the mall vicinity as they are also our esteemed customers," said Mr. Alex Tan, the Centre Manager of Hartamas Shopping Centre. 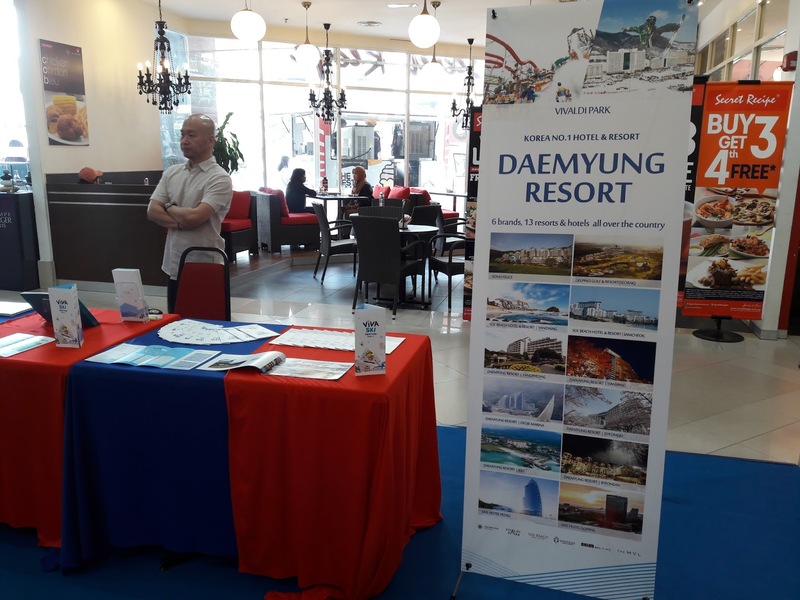 Hartamas area is not only the prime locations for the Malaysians, but also home for expatriates from many countries around the world especially Koreans and Japanese. If you are interested to join the Samyang eating competition, visit Hartamas Shopping Centre Facebook, www.facebook.com/hartamas.sc. 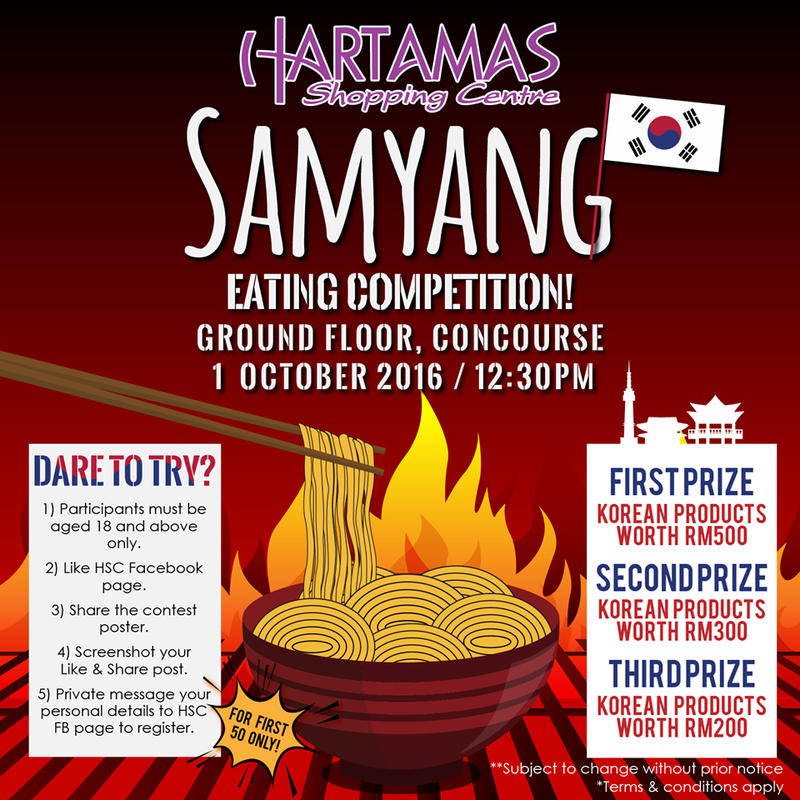 Come and experience the Korean culture and food at Hartamas Shopping Centre. As I age and get older, my metabolism rate slows down and that is one of the reasons I am gaining weight. I have a big tummy and don't know how to get rid of my tummy fat. Recently I was invited by a leading aesthetic clinic, Premier Clinic to try out their treatments. 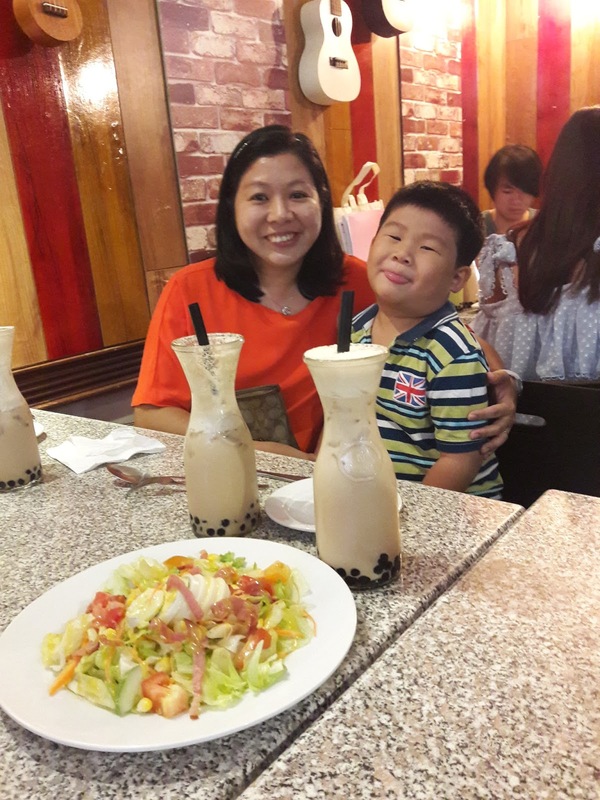 At first I hesitated to try because I was afraid of painful surgeries or go under the knife. However, when I found out about vanquish treatment which is not painful at all, I decided to try it out. 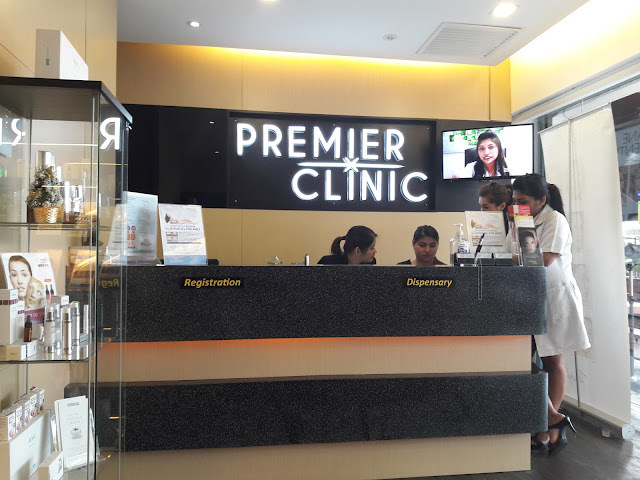 I was at Premier Clinic, Bangsar. There are 2 parking lots in front of the clinic for their customers and I was very lucky to park in front of the clinic. 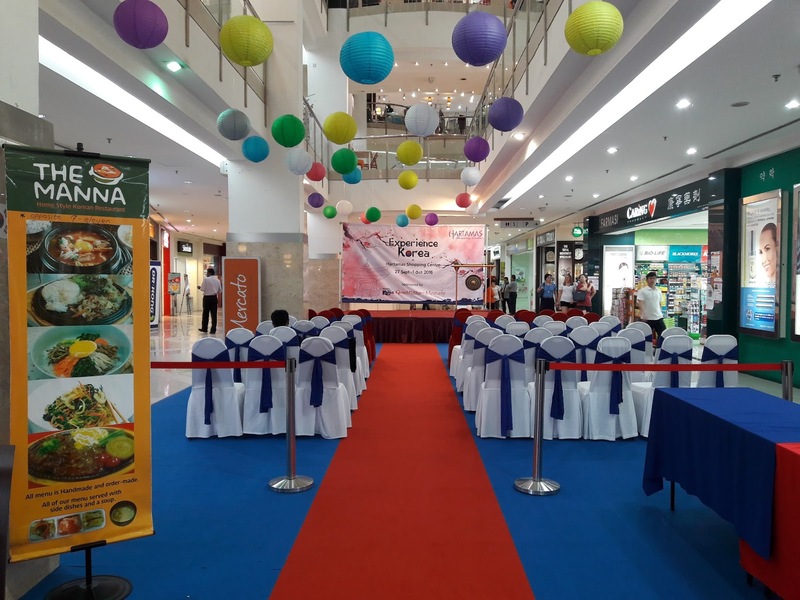 If you can't find parking there, you can park at Bangsar Village 2 Shopping Mall and walk there. 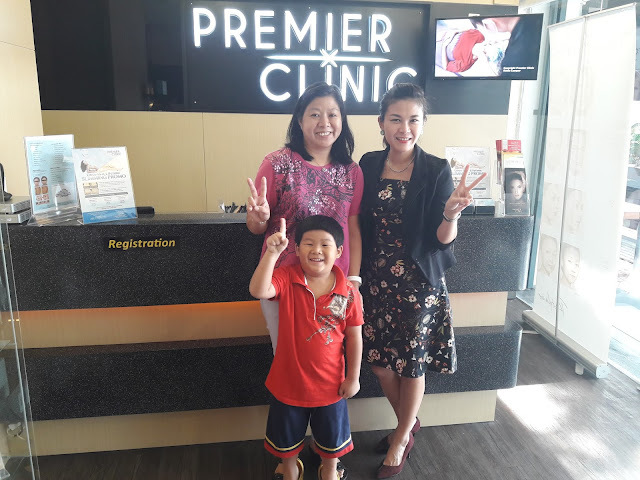 My doctor was Dr. Michelle Lai who was very pretty and caring. She explained why people gain weight. It could be due to hormone imbalance, slower metabolism rate and lack of exercise. 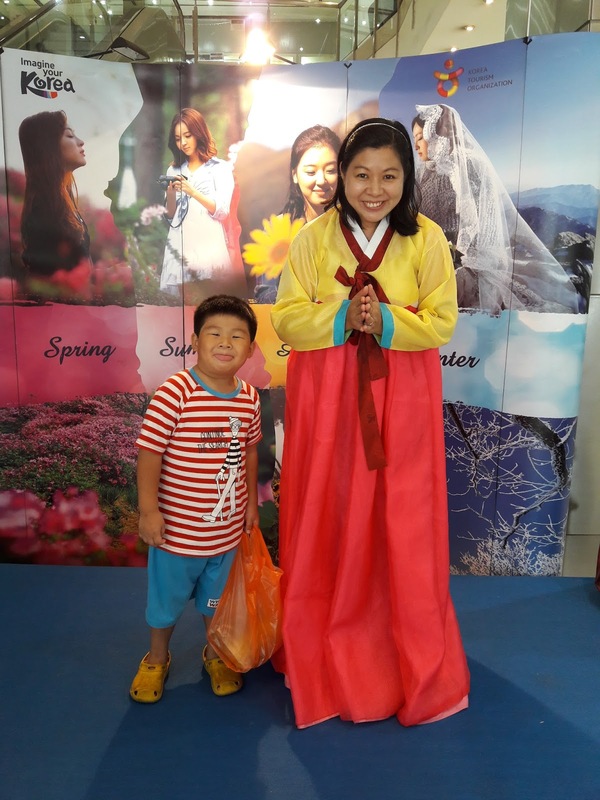 She said I should eat less bread, rice and pasta which contain lots of carbohydrate and eat more vegetables and fruits. Eating meat and fish is fine. Eat in lesser quantity and eat more times in a day. The treatment room was very clean and hygienic. There was soothing music and it was very comfortable. Before the treatment, the nurse checked my weight, body fat and blood pressure. All the staffs there were very friendly. 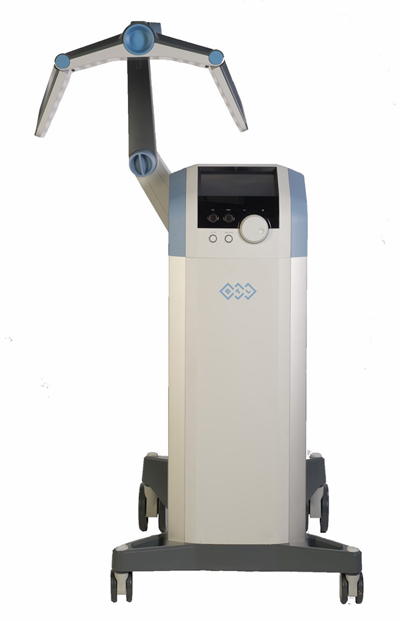 Vanquish is a fat removal treatment which uses safe radiofrequency (RF) technology without touching the body. 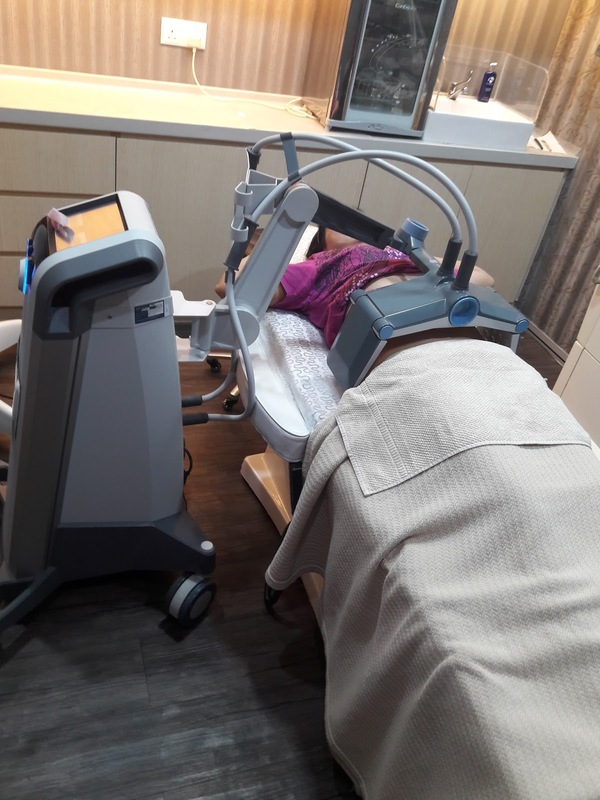 This technology was first introduced in the US and has since been widely used worldwide. Vanquish can be used by men or women who want to shed some belly fat or reduce their waistline. No anaesthesia was needed and there is no likelihood of an infection as it is non-invasive. This is one of the safest ways to reduce belly fat. Vanquish destroys fat cells in the abdomen without harming surrounding muscle tissues. The applicator was suspended about 2cm over my abdomen. I had to lay flat without any pillow for this treatment. All I could feel was some warm sensation without any pain or discomfort. I almost fell asleep. The treatment lasted about 45 mins. 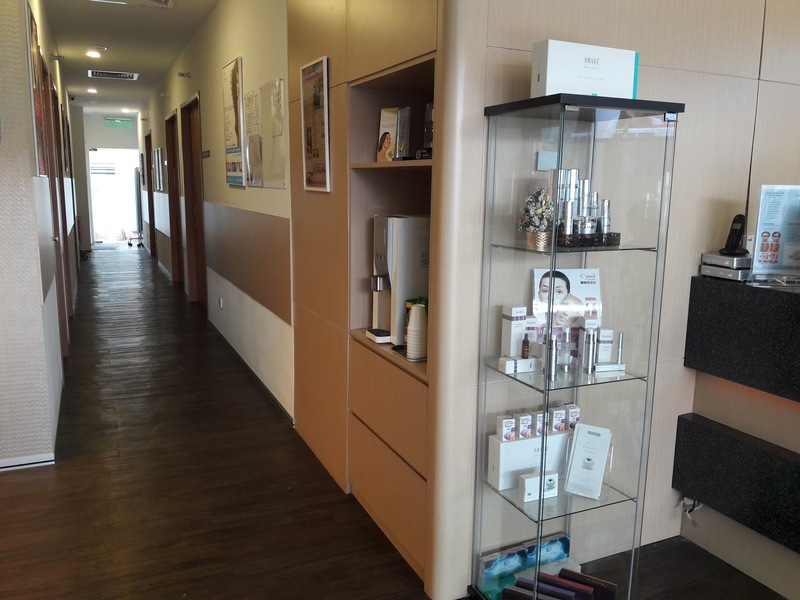 After the treatment, I was advised to drink more water. No anaesthesia was needed and there is no likelihood of an infection as it is non-invasive. This is one of the safest ways to remove belly fat. Vanquish destroys fat cells in the abdomen without harming surrounding muscle tissues. 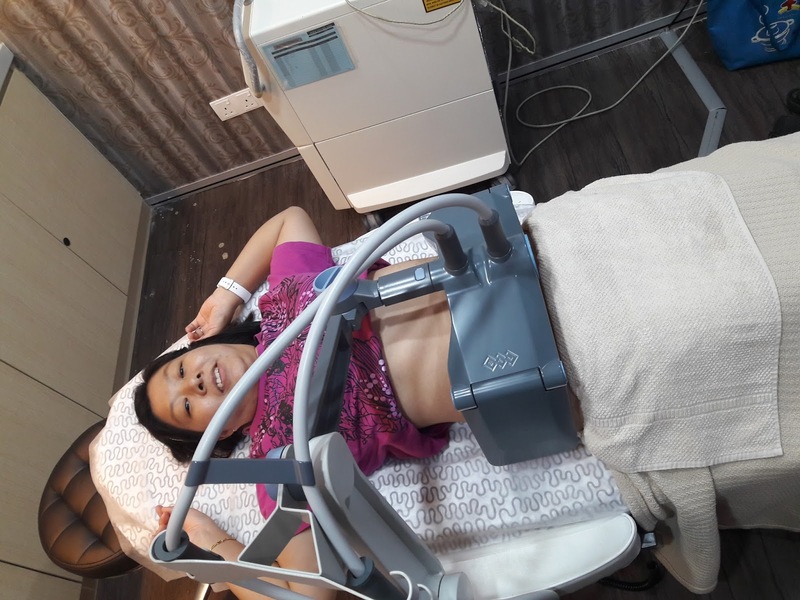 The treatment could cause some slight redness and some warm sensation on the abdomen area. 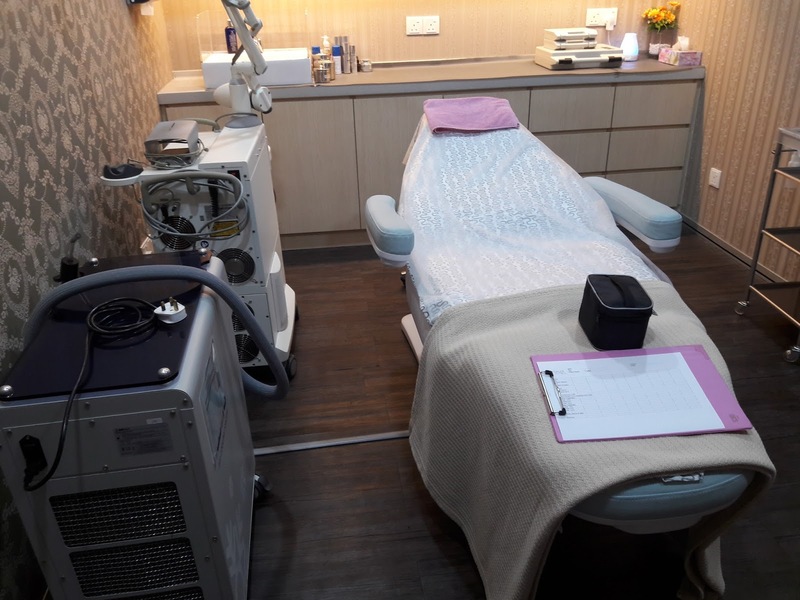 This treatment is RM 3,000 per session and typically needs 7 to 8 sessions performed once a week depending on your body type or doctor's advice. Dr. Michelle Lai gave me 20 capsules of Adipex 15mg. I needed to take 1 early in the morning everyday. This is to give me less appetite so I can control my food intake easily. I have my next appointment in October and will let you know further on my progress. Premier Clinic has 2 branches. TTDI - No. 31, Jalan Wan Kadir 2, Taman Tun Dr. Ismail (TTDI), 60000 Kuala Lumpur. 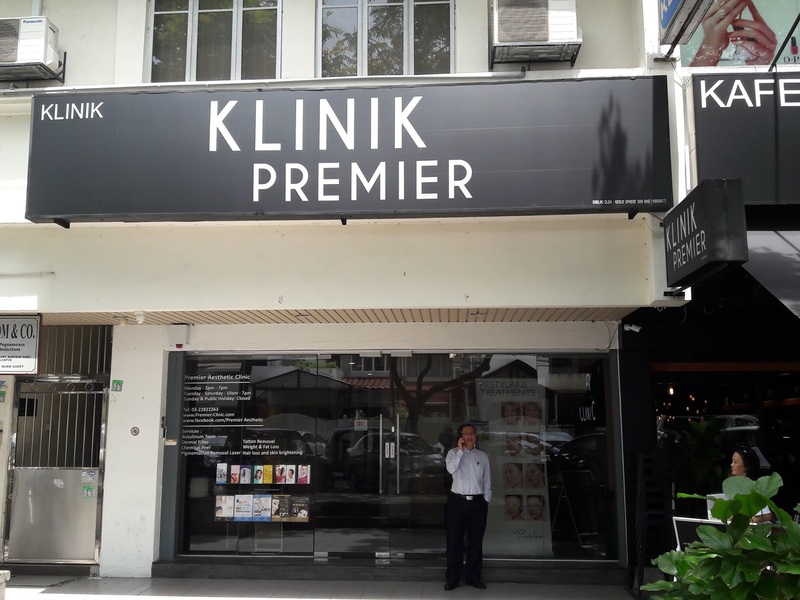 Bangsar - 40, Jalan Telawi Bangsar Baru, 59100 Kuala Lumpur. 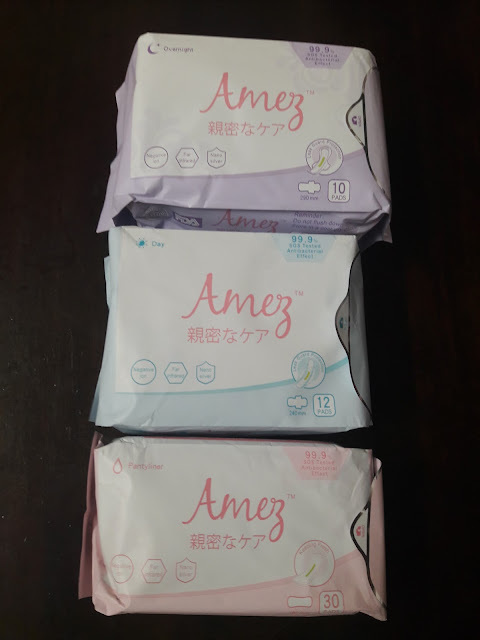 Recently, I received this Amez Care sanitary pads (Day, Night and Pantyliners) for review. 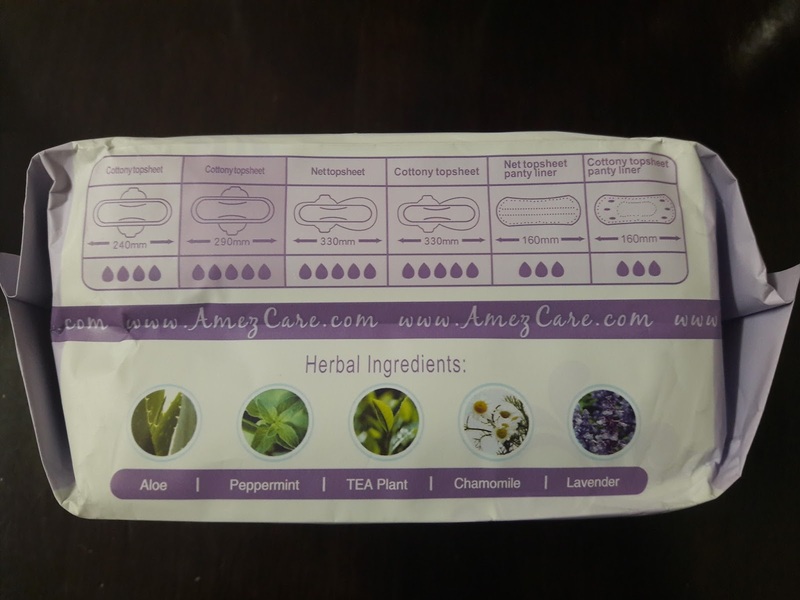 Amez Care sanitary pads are all natural herbal sanitary pads which are high quality and designed to optimize comfort levels during menstruation in women. Many traditional sanitary pads have high levels of chemicals such as styrene, chloromethane and chloroform which is harmful to women. 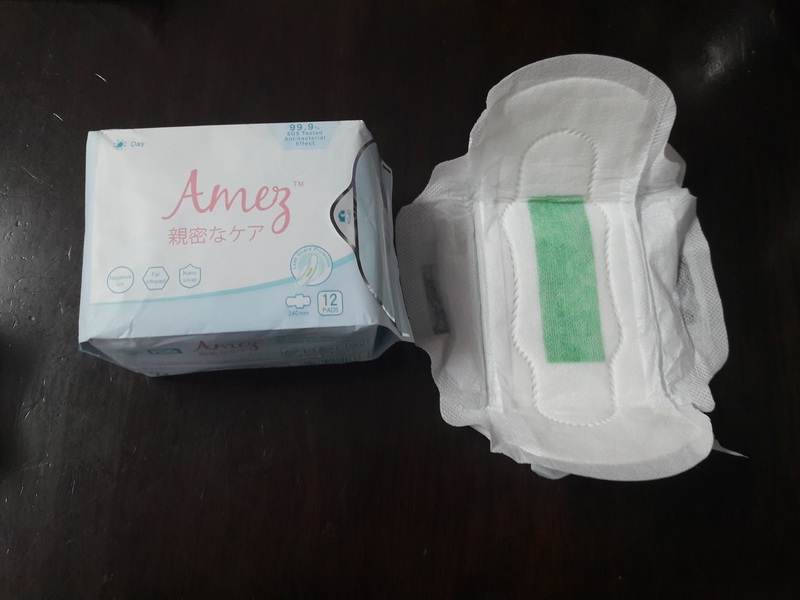 The pads are very thin, comfortable and has high absorbency rate. There is the herbal smell which is good to reduce menstruation odor. All Amez Care pads have herbal ingredients: aloe vera, peppermint, tea plant, chamomile and lavender. Aloe vera has 75 nutrients and 2 hormones which helps heals wounds and reduces itchiness. 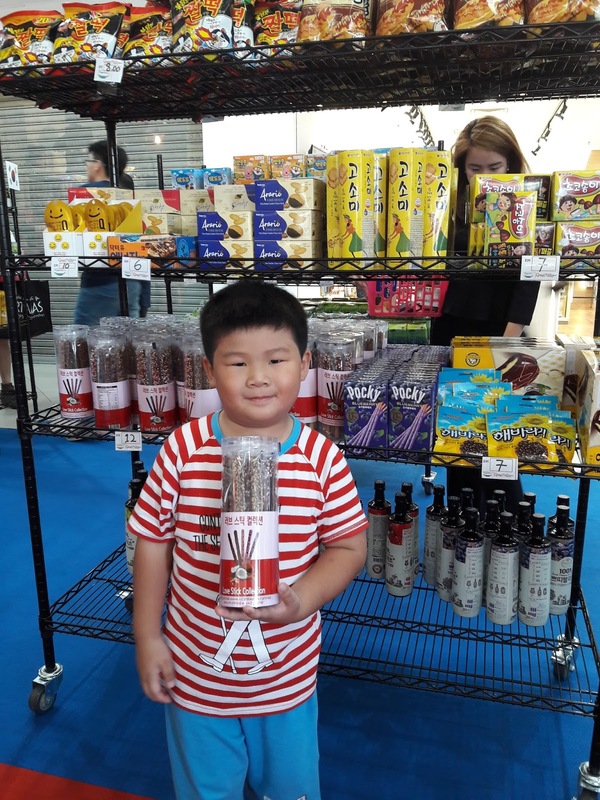 Peppermint acts as an antiseptic and antibacterial agent. It soothes pain, irritation, and infection. Tea Plant can optimize immune system and alleviate pain-related illnesses. It also inhibits the development of blood clots, lowers blood sugar levels, sterilizes numerous bacteria types and restricts formation of harmful cholesterol. Chamomile oil fights infections & bacteria and also enhances blood circulation which will eventually lift the moods and spirits of women. Lavender reduces tension and relaxes the body. It helps women get more restful sleep. Sanitary pad for night or heavy flow. Sanitary pad for day use. During menstruation when I used Amez Care sanitary pads, I could feel the herbal ingredients making me feel more relax. The absorbency was good and there was minimal leakage. The herbal smell lifted up my mood. 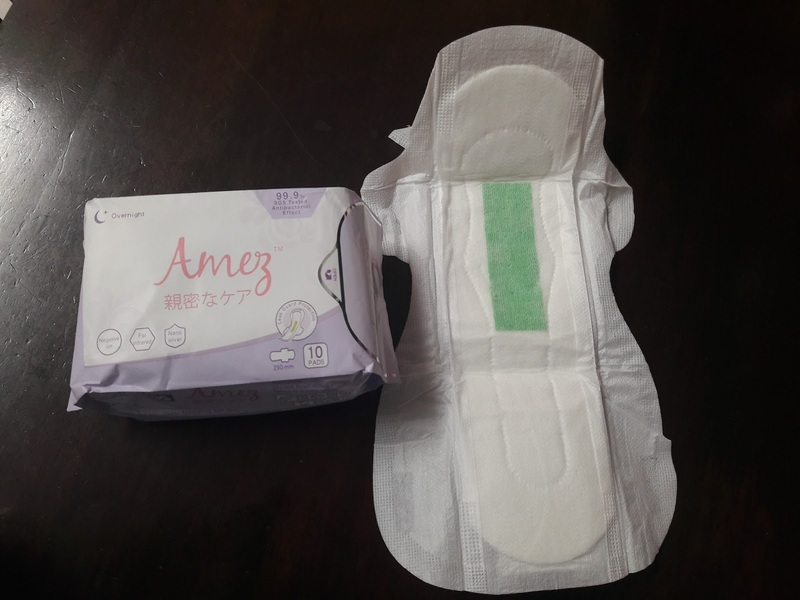 With all the great benefits, you should try Amez Care sanitary pads too. 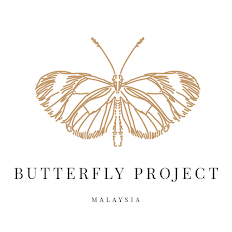 Recommend them to your friends. 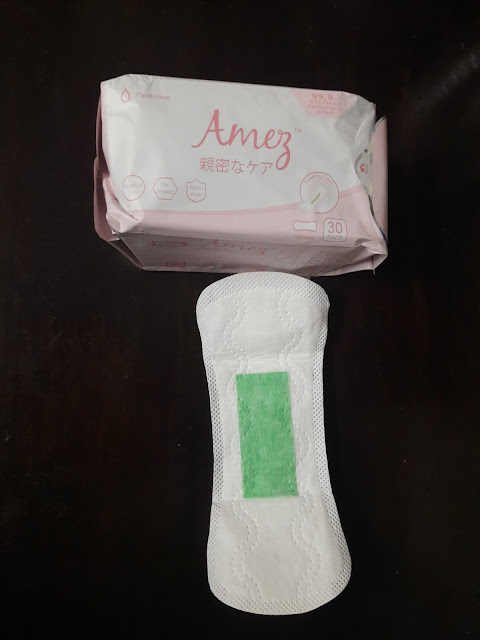 You can buy these online at http://www.amezcare.com/online-store/. Visit their website http://www.amezcare.com/ to know more about the products or their Facebook https://www.facebook.com/AmezCare/. 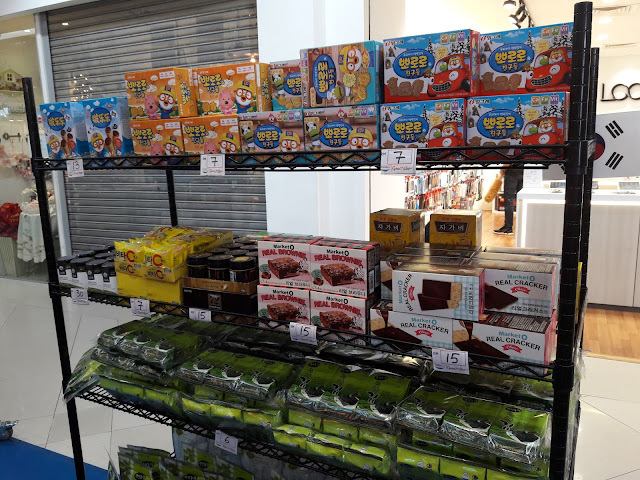 Play-Doh Celebrates 60 Years Anniversary!